A National Youth Service Corps member, Aka-Jude Tersoo was arrested along with an accomplice during an attempt to break into an ATM machine, in Kogi state. The suspect was caught with a locally made gun. Aka-Jude Tersoo was among the 36 suspects arrested in the last one week in the state. 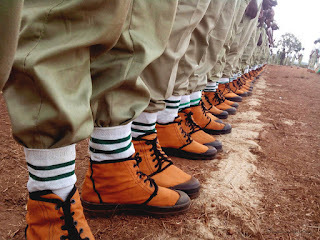 According to Daily post The police also apprehended five persons said to be members of the Boko Haram sect were apprehended by the officers and men of the command. 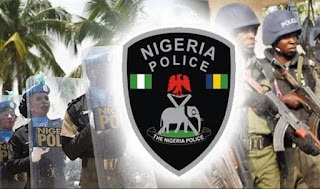 The Commissioner of Police, Wilson Inalegwu , Addressing journalists on arrested criminals in Lokoja said that the culprit, Aka-Jude Tersoo, who was posted to the state for the one-year national service, was apprehended alongside an accomplice, Godwin Idih, on 26 April around 2.30am. The Commissioner of Police, Wilson Inalegwu said the arrested men were caught while attempting to break the ATM belonging to the EcoBank with digger and axe with the aim to rob the bank. “My men who were on patrol duty noticed suspicious movement at EcoBank branch, Ganaja junction, Lokoja, and stopped to observe. “On close examination, they saw two individuals who were later identified as Godwin Idih and Aka-jude Tersoo breaking the ATM with digger and axe.